Our thoughts and prayers go out to the Roberta Ann “Bert” Willis family at this time. We thank them for thinking of our children and supporting our mission during their time of loss by suggesting donations to the Noyes Home for Children. Bert was the daughter of Robert & Rue (Plunkett) Mitchell born on October 4, 1935 in Grant City, Worth County MO. 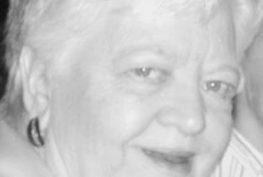 She grew up in Worth County and was a graduate of Grant City High School in 1953. She went to business school in St. Joe and then worked in her uncle, Dr. D.E. Mitchell’s medical office in Mt. Ayr, Iowa. She subsequently moved to St. Joseph and attended beauty college there. She was a hairdresser for many years and owned her own business. She married Dorman “Willie” Willis, the love of her life, on June 11, 1966. They were such a well-matched pair. Together they raised 4 daughters. Pam, Paula, Peggy and Penny. Roberta also had another daughter, Julie, that was raised by her adoptive parents. Bert’s life was very full of love, laughter, friends and many, many shenanigans and adventures. She enjoyed bowling so much that she switched careers in the 1970’s to work at Olympia Lanes bowling alley in St. Joseph until she retired from her full-time job there. She also traveled the country to participate in bowling tournaments. 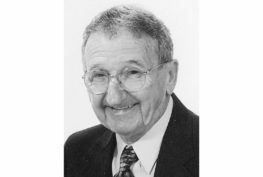 It has often been thought that Bert knew most everyone in Northwest Missouri and certainly in St. Joseph. She never knew a stranger and drew all her acquaintances into her heart. 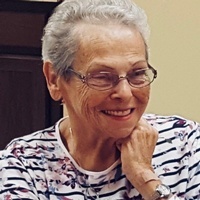 Her and Willie also loved to fish and spent many happy hours at Big Lake and Grand Lake, OK with family and with friends fishing and making precious memories. Bert was such a joyful person and never slowed down. She was happiest when she was busy and on the go. And GO she did! She always had someplace to be and something to do. Bert could never be described as demure. She was ornery and such a fun-loving character and was known to pull a few pranks. She loved to laugh and had the funniest sense of humor, especially about her own escapades! She is survived by her daughters Pam (Jim) Tapee of St. Joseph, Paula (John) Shelly of Dallas, TX, Peggy (Kevin) Cluck, Penny Willis also of St. Joseph and Julie Adams of ND. Her brother Gene Mitchell, Gallatin, MO. She has 7 grandchildren, 6 great grandchildren. And several loving cousins, nieces, nephews and in-laws. But let’s not forget about all of her friends that adopted Bert as a mother, momma, grand-momma, sister and aunt. Bert had riches that most don’t get to enjoy…she was well loved by MANY. Memorial Service 3:00 PM Tuesday, September 18, 2018 at Deer Park United Methodist Church, where the family will receive friends one hour prior to the service. 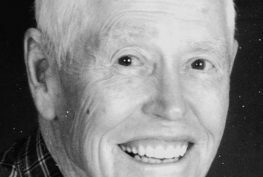 In lieu of flowers the family suggests that memorial contributions be made to Noyes Home or Deer Park United Methodist Church.